The tiny robot swarm, about the size of A4 paper sheet, now being programmed to be able to lift cars weighing up to two tons. They are working together, these tiny robots able to slip unnoticed and quietly removes the target's car from the scene. 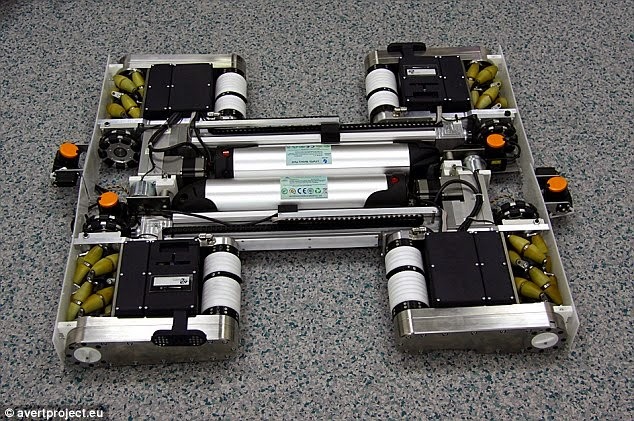 These robots which are collectively referred as 'Avert' are the creation of a European consortium led by the Democritus University of Thrace in Greece. 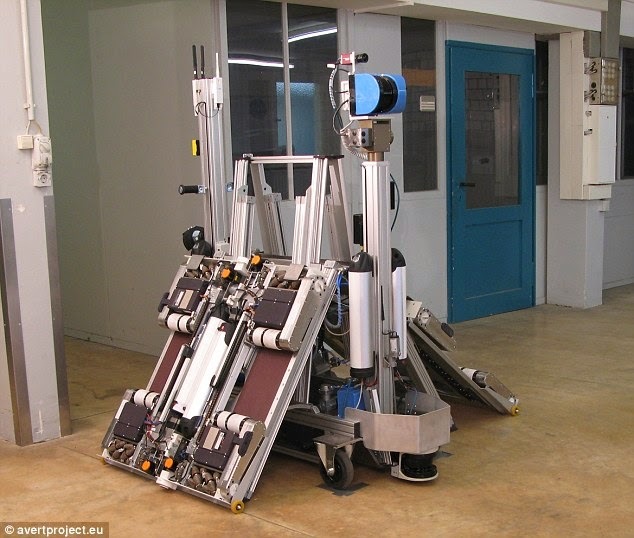 The Autonomous Multi-Robot System for Vehicle Extraction and Transportation (Avert), as reported by the Daily Mail on Tuesday, April 28, 2015, operated by selecting the vehicle to be moved after the camera mapped the area in detail. Avert system then works by sending a deployment unit to scan the area and identify new potential obstacles. Once this is done, these gangs spread from the unit and track vehicles as targets, where they approached the wheels and then lifted the car. The robots are equipped with on-board sensors, including two lasers and digital cameras. 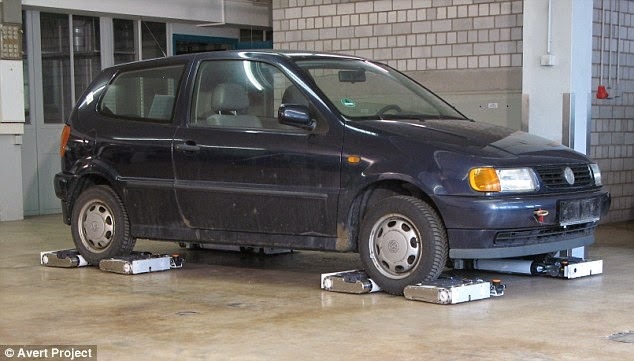 Sensor helps the Avert to lifting the vehicle without human intervention, and avoid the obstacles. This system could be used to rescue from the bad parking situations, though, it was specifically developed for use by law enforcement. According to its website, Avert can help the police extract suspicious vehicles from within buildings and other tight places, or transport cars they suspect are rigged with explosives to a safer location.